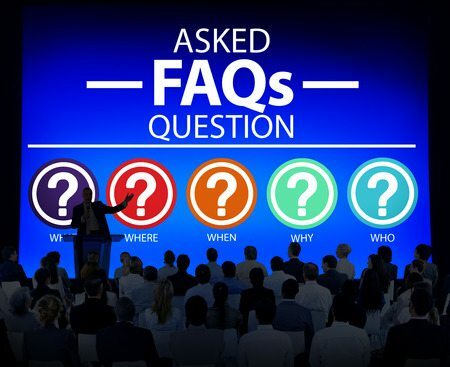 Welcome to our FAQ page which we’ve put together based on the numerous questions that we’re regularly asked in connection with our service, either verbally, by email or text message. Q: How quickly can you find a cleaner for me? A: Between two to five days on average, however this time scale can be impacted by your location, as well as the time and day (or days) that you request too, plus the nature of the tasks you wish your Cleaner to carry out and the precise quantity of hours you require them to work as well. Q: Will I be assigned a dedicated cleaner? A: Yes. That said, if they’re on holiday or have a long-term illness which will lead to an elongated absence, our staff will step in to organise temporary cover via one of our 160 + database Cleaners. Q: What duties do the Cleaners carry out? A: You’ll find that the Cleaner will carry out virtually all of their requested duties providing the are not unreasonable and do not place them at risk of harm, in addition, their duties can be varied on each visit if needs be. Q: Can I request a specific day or days, as well as times for the Cleaner to visit my home? A: We will make it a priority to find a Cleaner from our database that meets the day or days you request, as for times, Cleaners will agree with you at their face to face meeting (prior to commencing their duties) a mutually acceptable time to call, these are usually agreed as either a morning or an afternoon call on a specific day or days, however if a Customer isn’t bothered what time the Cleaner arrives, they can simply agree an ‘anytime’ arrival, but whatever is agreed, a caveat that any visit must be completed within a certain timescale is perfectly acceptable. Q: The provision of the cleaning materials is whose responsibility? A: Under normal circumstances, in order to keep our prices as reasonable as we can, the Cleaner would normally utilise the Customer’s own cleaning materials, simply because we assume the customer is happy with the products that they have purchased to use around their own home, that said, Customers can request the Cleaner to bring their own, but please note that the the Cleaner will almost certainly need to increase their hourly rate to cover the extra costs involved in providing and replenishing these consumable items as and when they need replacing. Q: What cleaning schedules do you offer? Q: Can I have one of your database cleaners visit me for one hour? A: Because Cleaners need to cover their travel expenses from their hourly rate, it’s simply not financially worth their while undertaking a visit for 60 minutes, for that reason, the minimum home clean is 2 hours. Q: Am I required to be present in my home while a Cleaner is working? A: Most people aren’t in when the Cleaner calls, however some people work from home, are disabled or are in poor health, whatever your own personal circumstances thee Cleaner will adapt to suit. Q: What happens about the keys to my home? A: Most customers provide the Cleaner with a spare key, however on occasions, others have utilised a discretely placed ‘key’ safe and have given the cleaner the required code in order to gain access to the key inside. Q: Whose responsibility is it to pay the Cleaner? A: The Customer pays the pre-agreed hourly rate to the Cleaner, leaving payment in a designated place which will have been previously agreed at the face to face meeting, this assumes that the Customer will not be at home when the Cleaner calls. Of course if the Customer is available on the day of the clean then payment can be made at the end of the Cleaner’s visit. Q: What do I do if I’m not well or on holiday and the Cleaner isn’t required? A: You have no need to make a payment to a Cleaner under those circumstances, but please note that the Select House Cleaner’s Management Fee is not refundable if this occurs. Q: If I ever have cause to be unhappy with the cleaning or ironing that is carried out in my home, what do I do? A: Our database Cleaners are self employed and being such, they are aware that it’s their responsibility to correct unsatisfactory work until the Customer is satisfied, the Customer is entitled to withhold payment under such circumstances. Knowing this, it is obviously in the Cleaner’s best interests to provide a service that meets expectations – and wherever possible exceeds them from the very outset. That said, sorting out any issues of this nature is part of our remit, just contact us if you have any reason whatsoever to feel unhappy and we’ll step into the breech to rectify the situation as smoothly and as quickly as we can. Please avoid situations where you wait to see if the situation will improve – we know, appreciate and understand that can be a natural response, however we prefer to know immediately so we can act sooner rather than later, in order to reach a satisfactory conclusion, we’re incredibly discrete and will always act in a manner which protects the relationship between Customer and Cleaner. Q: How do you vet the Cleaners? 1: We obtain a good idea of the cleaner’s own standards when we visit their own home, we’re looking for someone who obviously takes pride in how they present their living accommodation. 2: Before leaving, we also request proof of identity as well as residency at the address we’ve visited. References too, both personal and professional are also obtained. If the Cleaner does not have DRB (police check) documentation, or has not currently registered themselves as self employed with the tax authorities, we will assist them in obtaining these requirements. In addition, we undertake verification that all applications for registration of self employment with government departments as well as police checks have been successfully completed, This makes certain that we don’t accept applications to join our database from those with criminal pasts or from individuals who are not legally allowed to work in the United Kingdom. As a company we make certain we’ve already completed a gamut of enquiries and visits before you even have a conversation with one of our database cleaners. A: Click HERE to visit our Home page where the prices are shown at the top of the page, a fuller explanation of our prices is also available by clicking HERE. Q: Is there a minimum term agreement I need to agree to? After the first three months has gone by, Customers can end the agreement at anytime by simply giving us one month’s notice in writing or via email. Q: Why do I pay a Management Fee to you? A: If you’ve ever attempted to source your own cleaner, it may have become apparent that to find the right kind of individual isn’t as easy as it may at first seem. Common issues experienced by Customer’s seeking to do their own recruitment include Cleaner’s promising to call for an interview – and then not showing up, poor reliability, inconsistent working practices which can include a deterioration in working standards, Cleaners not responding to communications, as well as ending their cleaning arrangement without warning or notice to the Customer, the complete list is even lengthier than that, but for brevity, we’ve shortened it to the most common issues we’ve been told by Customers who have attempted to recruit private cleaners. Our Management Service is designed to protect you from the stress, aggravation and hassle of trying to find the ideal Cleaner for your home. It isn’t easy to find good, professional Cleaners for the domestic market, many people who want to become cleaners think it’s a fairly straightforward job which is relatively easy, but the right cleaner knows and understands the job is a lot more involved than simply a little bit of hoovering, polishing and general dusting. We’ve spend 17 years sifting through literally thousands of cleaning hopefuls to end up with a final database of approximately 160 + professional cleaners who we are proud to introduce to our Customers. Not forgetting too, that we also supply £2,000,000 worth of Public Liability Insurance for our Customer’s peace of mind – and of course our staff who provide the ‘behind the scenes’ management and ongoing provision of our service need to be paid as well, naturally, our £2 or £3 hourly Management Fee (which is dependent on whatever service you are using – e.g., weekly or fortnightly) doesn’t cover all of those costs, but it does make a meaningful contribution and thus helps to defray them, while at the same time making the cost as low as we can for our Customers. Q: If my regular Cleaner is absent for whatever reason, can a replacement be provided? A: If we’re given ten days notice concerning a PLANNED absence, we will guarantee to provide a substitute Cleaner from our database. Where an absence will only amount to the missing of one clean, we will endeavour to provide a replacement, providing we’re given 48 hours notice. If the Cleaner will be absent for MORE than one clean (excluding the first week) AND we are provided with 48 hours notice, we will guarantee to provide a replacement from our Cleaner database. Our Management Fee will be refunded pro-rate, for any period of time where we have offered our guarantee but where we’re been unable to introduce a replacement database Cleaner.